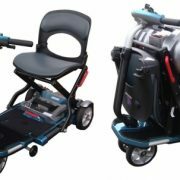 The FOLDABLE S19 Wimed Electric Scooter is lightweight and stylish , its aluminum frame makes it easy to fold and place in the car. 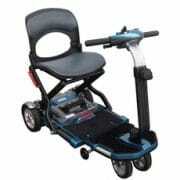 The FOLDABLE S19 Wimed Electric Scooter is lightweight and elegant , its aluminum frame allows it to be folded easily and to be placed in the car. The FOLDABLE S19 Electric Scooter is equipped with easy-to-use controls, adjustable handlebars, lightweight lithium batteries and easily removable to be charged at home. The scooter can reach a maximum speed of 6.5 km / h for a 20 km autonomy thanks to its 270-watt 4-pole engine.